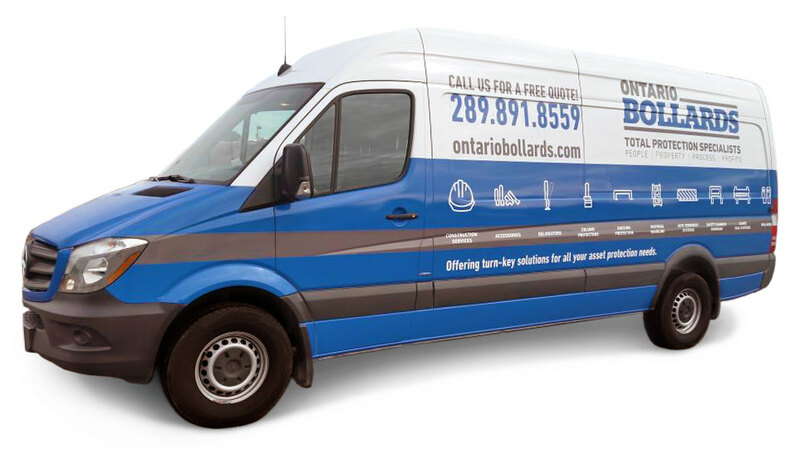 Ontario Bollards Branding & Website | circus strategic communications inc.
With more than 30 years of experience in the construction industry, Ontario Bollards came to circus looking for help with their brand image, which was perceived to be outdated. 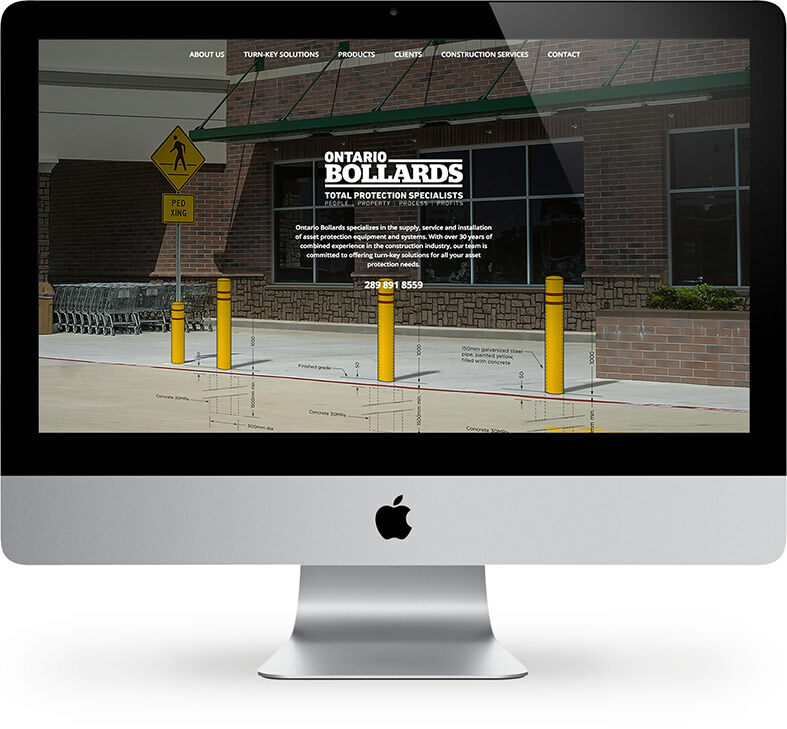 As asset protection specialists, Ontario Bollards also needed a contemporary website that would be as effective as its products. circus set out to create a new brand identity that would realign the company’s image to match its best-in-class client roster. In order to ensure prospect engagement, the branding needed to be memorable and project a more professional and sophisticated image. To support the graphics, blue and grey were chosen as Ontario Bollard’s primary brand colours. Blue’s association to knowledge, power and integrity perfectly embody the business and grey speaks to their dependability and practicality. The first step was a new logo, positioning statement, boilerplate copy and brand guidelines. A critical part of the brand strategy was the positioning statement, Total Protection Specialists, to reinforce the company’s values and to differentiate from competitors as a single-source solution. The new website was designed to be mobile responsive, easy to navigate and functional. 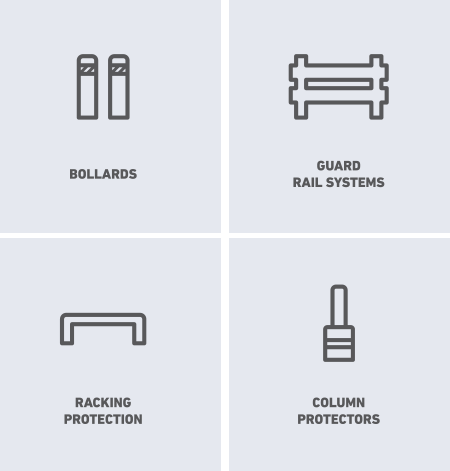 Most importantly, it needed to emphasize Ontario Bollards’ expertise in providing convenient turn-key solutions and expert consultation services. Built on a WordPress CMS, the website features a filtered product catalogue, which can be categorized by type and further drilled down to sub-type. circus created custom vector icons to aid in navigation. Additional features include a subtle hover and selection effect. Functioning as a navigable product catalogue, the new site engages prospective clients and generates leads. 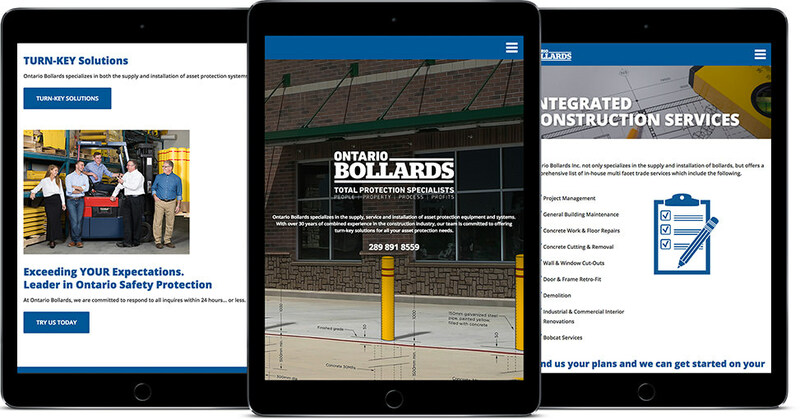 Together, the refreshed brand and website reaffirm Ontario Bollards’ commitment to their customers: offering turn-key asset protection solutions that are tailored to their individual requirements. 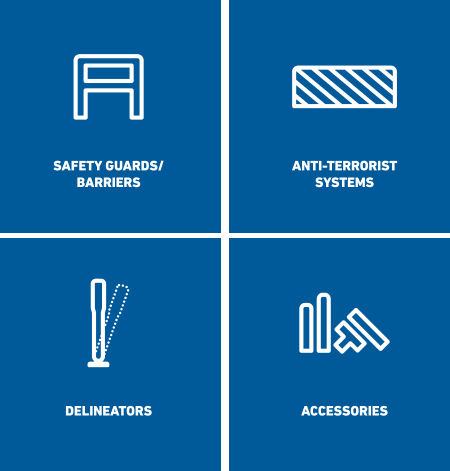 Now Ontario Bollards can truly say to their customers that they are the one stop source for protecting people, products, operations and profits.